Translating is treacherous. The biblical term “unclean spirit” from this week’s Gospel reading is prone to our projections. 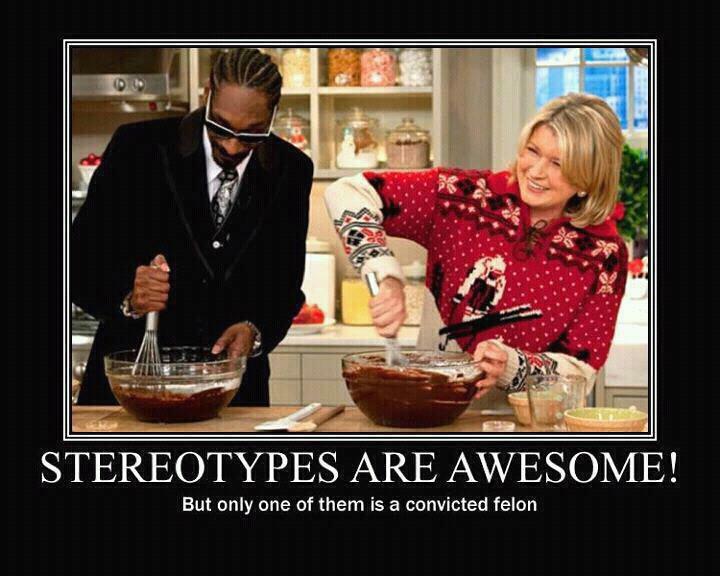 What is unclean is bound by culture and perspective. We all think we know it when we see it. For example, let’s take the latest primary rants of Newt Gingrich. No, I will not argue he is a man of unclean spirit, but he certainly has the knack of summoning these spirits, and projecting them onto others. He has vowed to follow President Obama around the country to hold Lincoln-Douglas debates. I know debaters often use this format, but Newt is also subtly signaling his base. He is a historian and knows precisely that these debates were about slavery. As I witness his rise in the polls after calling Obama the “Food Stamp President” (never mind that food stamp use rose more sharply under Bush or that more white people receive food stamps), sadly Newt may be right about something. Maybe we do need to have the Lincoln-Douglas debate over again. I spent some time reading over the speeches from 1858 and found some fascinating things I didn’t remember from history class. The great debate was precipitated by the Supreme Court’s Dred Scott decision. Mr. Scott was the slave of an Army doctor, John Emerson, who had taken him to live in territories where slavery was outlawed. (Illinois and Minnesota were not yet states in the 1830s). Upon Dr. Emerson’s death, Scott offered to buy his freedom from the doctor’s widow and when she refused, he sued for his freedom. In denying Mr. Scott his freedom, the Supreme Court set an inflammatory precedent, that a slaveholder could take slaves (his property) into a free state or territory where slavery was illegal and not be “deprived” of his property. Lincoln hammered away at this decision, noting that it was an expansionary move of pro-slavery advocates to extend slavery not only into the territories, which would soon become full voting states, but eventually to make this the law of the land in the North as well. If Dr. Emerson could bring Dred Scott to Illinois to serve as a slave, what was to stop a Southern slaveholder from buying a farm in Ohio or a factory in New York and working it with slaves? Lincoln argued that nation could not live divided between slave and free, not just on moral grounds based on the Constitution, but also on practical grounds. He feared that Southern slave owners were expansionary and would run over the rights of Northern states to limit slavery in their territory. (That puts a different spin on the “War of Northern Aggression,” doesn’t it?!) One of Lincoln’s strongest debate points against Douglas was forcing him into a choice between his cherished notion of states’ rights, which Douglas used to defend slavery, with the Dred Scott decision which nullified the laws of the free states and territories in the North to uphold bans on slavery. Douglass waffled, and while he won the Illinois Senate seat in 1858, Lincoln’s rhetorical trap on this state’s rights issue ultimately won him the presidency in 1860. 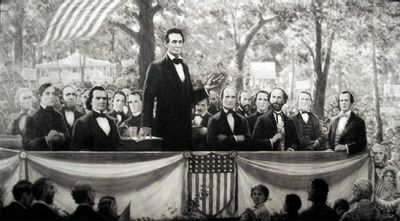 So what would a Lincoln-Douglas debate look like in 2012? Once again we have a controversial Supreme Court decision that increases the power of the elite and nullifies the freedom of “we the people.” The Citizen’s United decision to claim that corporations have personhood, and enshrining money as equal to free speech, is as dangerous to a free and democratic people as the Dred Scott decision was nearly two centuries previous. It solidifies a campaign financing system that is nearly legalized bribery. We are currently seeing the “unclean spirits” of this decision in the rise of even more relentless attack ads that can be funded by anyone (well, anyone with millions of dollars!). Newt’s flagging campaign after the Iowa caucuses had a $10 million boost from a casino owner and his wife, but I’m sure that this will not influence a man of Newt’s intellect and ethics on issues of gambling, if he was elected. Right? We are still a nation based on “one person, one vote” but once the elections are over, corporate CEOs and people of immense wealth are writing our laws. By the end of this campaign I believe this will become a central issue to be fought out in political process (as long as the EU does not tank global financial system before then!) Ironically we may owe Newt a debt of gratitude for shining a light on the “unclean spirits” being unleashed in our country. Through his racially inflammatory rhetoric, his contempt for people who are poor and unemployed, and for personifying the very nature of our “pay to play” campaign finance system, Newt may truly become an historic figure – much like Stephen Douglas before him. Most of my research for the above opinion peice was from Wikipedia, but I will also share a few links from the week that I found interesting. “When not holding forth from his favorite table at L’Auberge Chez François, nestled among the manor houses of lobbyist-thick Great Falls, Va., Dr. Newton L. Gingrich likes to lecture people about food stamps and how out-of-touch the elites are with real America.